Categories: Handbags, Shoulder Bags. 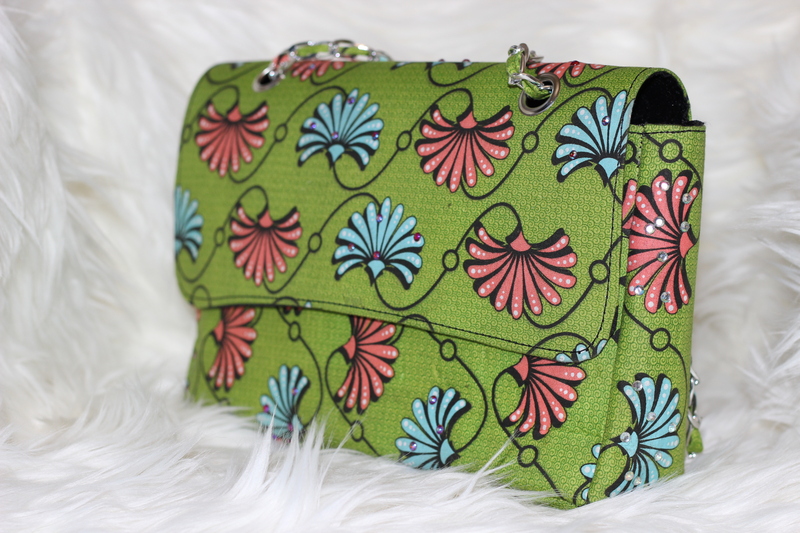 Tags: african print, ankara, Ankara Handbag, Dashiki, Handbag, handmade, Rhinestone Handbag, shoulder bag. 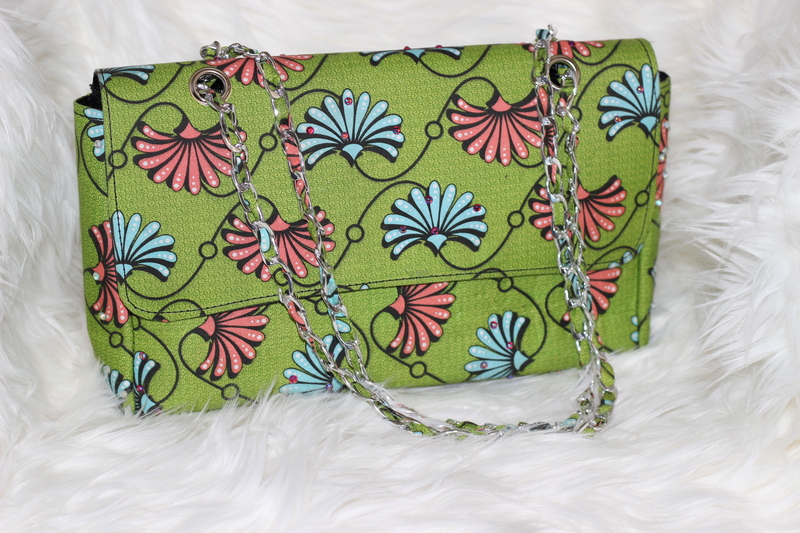 Bright green shoulder bag with coral and blue floral print, made from wax print on 100% cotton fabric (Ankara). Handbag has rhinestones embellishment, chain and Ankara strap and 2 snap closure. Size: Medium. 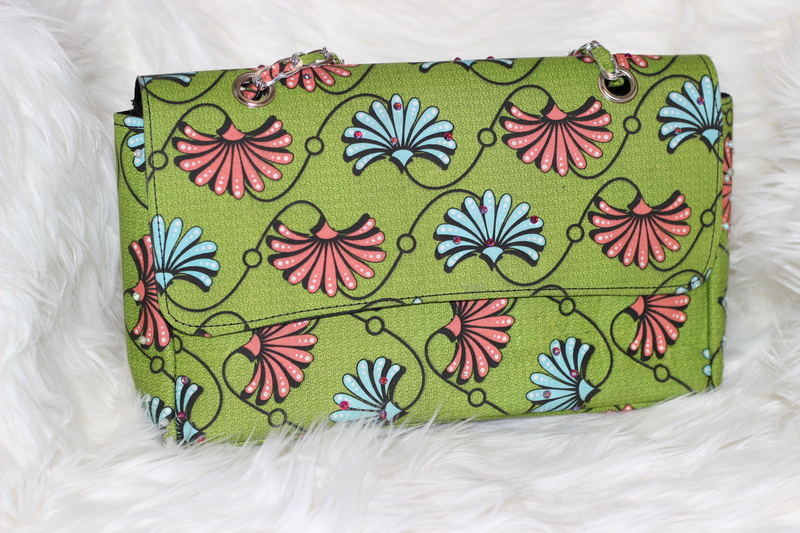 Length of bag 13.5 inches, Height 7.5 inches, Base Width 3 inches, Top width 2 inches.